Frog offers innovative mineral technology for pool & spa care that is EPA registered to destroy bacteria which SAVES 50% on chlorine or bromine use for softer water that leaves a crystal clear shine and is easier on equipment and surfaces. 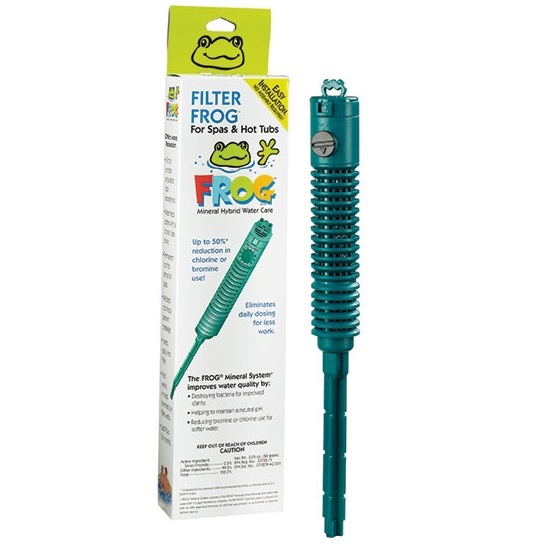 In addition Frog offers repeat sales of multiple products every year for a strong aftermarket business.This original Spa Frog contains minerals and may be used in the core of a filter, in a skimmer tray or in the filter well, and must be supplemented with bromine or chlorine. Set the reminder dial for 4 months from the date of install and simply discard and replace.